What Are the Benefits of Custom Drapery? There are a lot of options when it comes to choosing drapery and curtains. Ready-made selections are less expensive, but it can be tough to find the exact style, fabric, colors, and design you want. 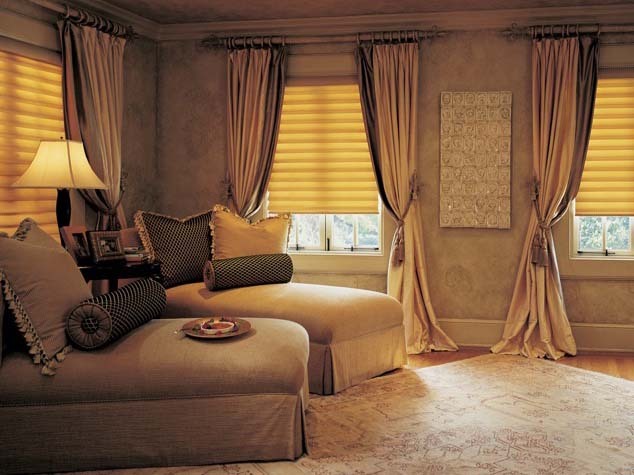 But before you settle for something off the shelf, consider the following benefits to custom designed drapery. Long-lasting beauty. Custom draperies last up to twice as long as ready-made drapery. Like most other fabric products, personally sewn is always better than mass-produced. Personal style. It’s all about you! When you work with our designers, we’ll ensure you end up with exactly the draperies you want, with the style and function you need. Custom drapes offer both originality and versatility. Custom fit. 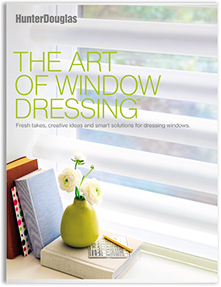 These days, windows come in a variety of shapes and sizes, which is no problem when designing custom drapery. We design and sew draperies to fit any window precisely. You can be sure they’ll function just as you need them to as well. Endless options. We have a large fabric library, and when you add to that the vast amount of unique trims, bands, and fringe that can be used on your project, there’s really no limit to the uniqueness of your custom drapery. Themed décor. When custom drapery is selected with the overall theme of your room or house in mind, it will enhance and complement any décor. Using drapes in multiple rooms helps tie design elements together throughout your home. Accessories and extras. Drapery accessories give any drapery project the perfect finishing touch. We have access to a variety of drapery hardware from many different vendors. If we don’t have what you want, we’ll find it!